For Snow City is a dream — Echo’s dream — of a better place, an idealized place, a place of both anonymity and fulfillment. It is, for Echo, a haven of peace, a refuge, a sanctuary. Sometimes one has to dream very hard to keep oneself sane. And that is what I did, hiding from the world — from the terror and the bombings and the deliberately engineered famines and droughts, from the withering shreds of civility and the surging outbursts of impersonal violence — groping blindly through my shadowy, nightmare-haunted fantasies until I came upon Snow City, my dream, my creation. And it was perfect: all bright and full of color, surrounded by pristine mountains, watered by a clear river, touched with the magic of kind people and the pure air I had always longed to breathe, unsullied by the filth and despair of my physical existence. And as the days wore on and the horror and atrocity about me increased, I turned again and again to my fantasy world, seeking shelter, seeking respite, living secretly, within my heart, an alternate, fabricated life in my little bastion of sanity and perfection. 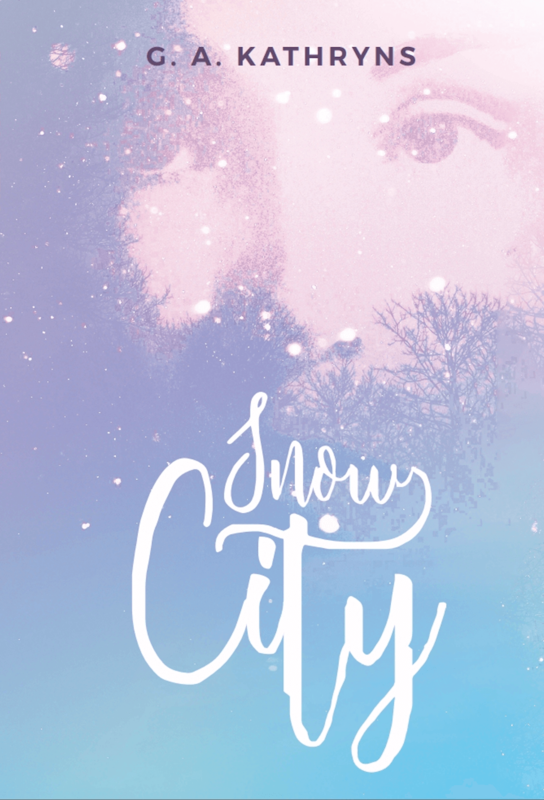 Until one morning, I awakened to discover that what had been the real world had turned into a kind of faded delirium, and that I — somehow graced with an impossible rebirth and a new identity — was now living in Snow City. In as much of a mental blank as I can muster, I prepare myself and my guitar for the evening’s performance. All is as it always is, as it always has been throughout my time in Snow City. Inspect. Tune. Warm up. Practice. I note fret wear on the wound strings, but though there are new strings to be had, now is not the time to change them, for new strings will take a day or two to stretch out and hold their pitch, and I cannot be constantly retuning in the middle of a piece. String replacement will be a task for a day off, then, and yes, Mr. Anthony is probably right: perhaps extra-hard tension will bring arthritis on a year or two early. But the yellow card Savarez allows the Kohno to sing brilliantly, and at any rate I intend to let old age take care of itself. At present, I am thirty-five, and I have other things on my mind. Music. Making a living. Existing in my idealized perfection. Realizing that my idealized perfection contains blemishes of which I was not previously aware. Practice. And more practice. My fingers flow into the intricacies of Dowland and Bach, and when, just before my Spartan dinner, I take a minute to check my e-mail, my fingers tap keys in half-conscious chordal patterns and bass lines as I respond to a missive from an uncle — Seymour — who is a minister at a small church in an equally small town in Montana. An uncle I have never met and to whom I cannot possibly be related because I simply did not exist in Snow City earlier than three months ago. Or did I? Was there, perhaps, another Echo Japonica, one who lived happily and productively in this world — preexistent, not dreamed — before my consciousness somehow usurped her identity? Such thoughts and attendant qualms come to me upon occasion, reinforced, to be sure, by external evidence: income tax records dating back the requisite number of years, a driver’s license renewed fourteen months ago, pay stubs dating back to my (or someone else’s) first days at the Blue Rose along with a framed (first tip!) dollar bill I have no memory of receiving…letters, bills, documents of every sort that testify mutely to a life lived in Snow City for much longer than I can recollect. Whose life have I stolen? As I tap away, politely declining yet another invitation to spend a week or two in the guesthouse at Uncle Seymour’s ranch — relax, take it easy, surely city life must wear on one after a while, so come smell the wildflowers and perhaps do a little horseback riding — I look up from the computer and catch a glimpse of myself in the mirror on the far wall. Big blue eyes. Blonde braid. I did not look even remotely like this…before. But…but who did? And where is she now? My performance that night is adequate. I am a professional: I will have it no other way. But though Luigi and Mr. O’Dally obviously notice that I am withdrawn and cool, my thoughts shadowed, they do not press me for reasons. Nor do I lift my eyes from my strings as I play: even during the easiest and most trivial of my pieces, my head is bent over the neck of my instrument far more than necessary…for fear that I will espy that gray-clad figure sitting at a back table. Only once in the course of the evening do I edge toward personal interaction, for after my second set, my curiosity and worry about my hypothetical predecessor at last get the better of me, and while allowing myself a cup of tea at the counter during my break, I turn to Luigi, who is wiping up the remains of a latte left by a clumsy customer. “Did I…” I do not know where to start. “Was I…that is to say… was there anything…” I falter, unable to find the words. How does one ask something so seemingly idiotic? I sigh. Of just such stuff are quandaries made. But I nonetheless thank him…and spend the last part of my break hiding in the back office. G.A. Kathryns grew up on the West Coast and later on moved to the drier and higher realms of the high plains. She currently makes her home in the Denver metro area where she shares the company of a spouse and two small dogs. Along with SNOW CITY, she has written a Southern Gothic themed title, THE BORDERS OF LIFE (soon to be reissued in a revised, corrected, and updated version), several pedagogical works devoted to playing the harp, a number of short stories, and a collection of dark fiction.